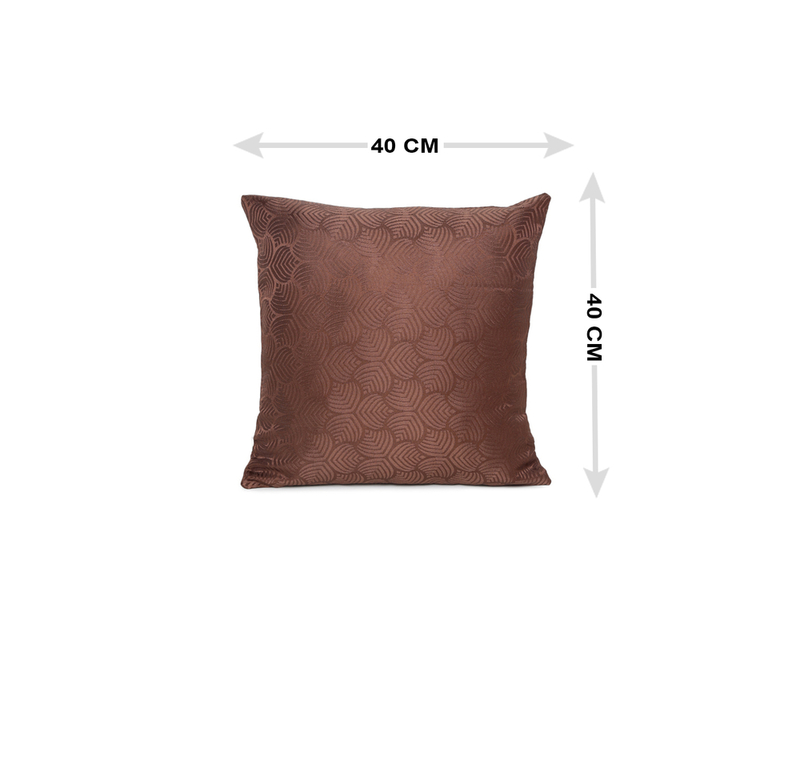 The beautifully designed textured leaf cushion covers are brought to you by Nikamal. These cushion covers are the definition of symmetrical and classic. The colour of the covers will surely blend into any background it is placed in The textured leaf is a well-loved and elegant design and will compliment your room and bring a charming vibe to it. These covers are made of velvet, which will give your room a rich, opulent look. The covers also come with the bonus of being easy to wash as they can be washed either in the washing machine or by hand. The method to remove or slip-on the covers is zip. Zips allow you to easily work with the cushions and provide you with a fitting and precise look. These covers will be perfect for anyone who is going for a symmetrical and modern aesthetic. The covers will also go best with a traditional background that uses shades of browns. Nikamal's Leaf pattern covers will blend into your existing decor like a second skin and further enhance the appearance of your room. These leaf patterns are very popular with most people and are a huge part of the current trend. Buy these covers and many like it from @home now!